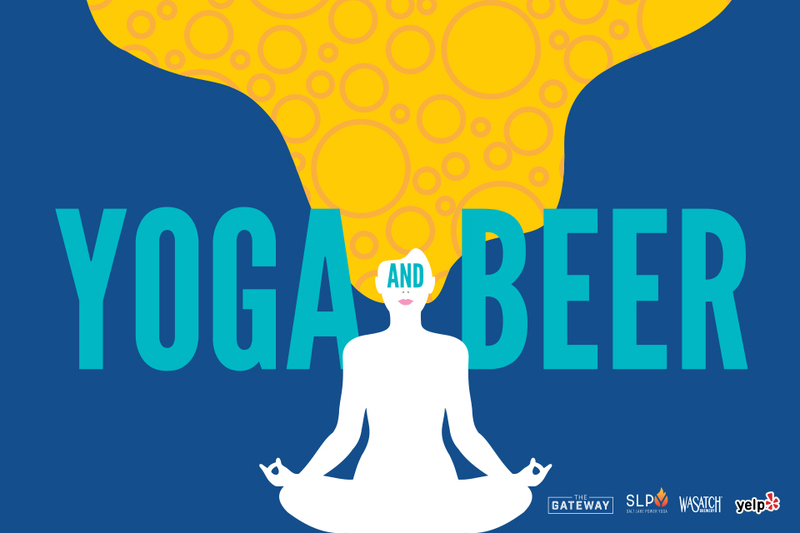 The Gateway, Salt Lake Power Yoga, Wasatch Brewery and Yelp bring YOGA & BEER, a weekly event to clear your mind. The talented instructors at Salt Lake Power Yoga will lead this series with a power flow yoga, integrating optional beer drinking postures. All levels of yogis and beer drinkers are welcome. Yoga is free. Beers are $5. Mat rentals available for $2. Classes will be held every Wednesday at 6 p.m. at The Gateway at 10 S. Rio Grande St., across from Rocket Fizz. Space is limited so be sure to reserve your spot HERE!